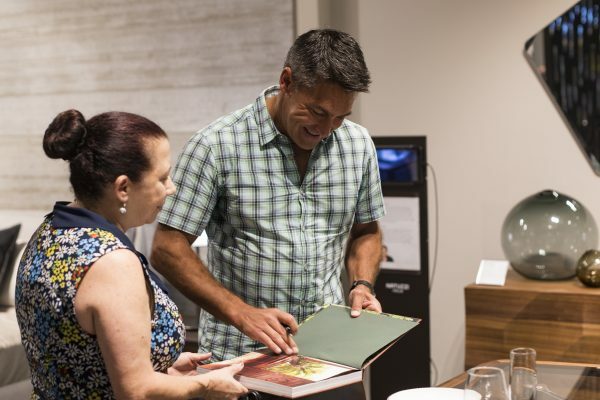 Now, with his long-awaited collection on display at the Supa Centa’s stunning store, Jamie Durie came in over the Easter long weekend to share some precious insight into what happens when design philosophies align and how a collection is born – from conceptualization, to manufacture. Twenty years ago, Jamie Durie began his Design business, branching out to the design of outdoor furniture collections four years later. The designs have always been an environmentally conscious process, consisting of beautiful FSC certified timber, and only sourcing timber from managed forests, where it’s not impacting rain forest situations. 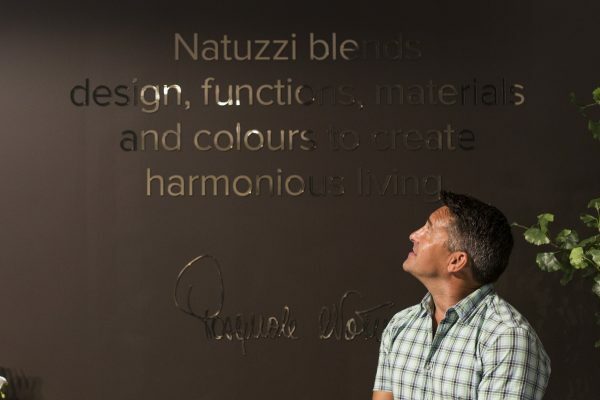 As an ethical company, with social responsibility and environmental sustainability at the core of its values, Natuzzi maintains the highest international certifications for quality and commitment to environmental protection – an ethos Jamie lives by and is a fierce advocate of, so clearly a major determining factor in this partnership. 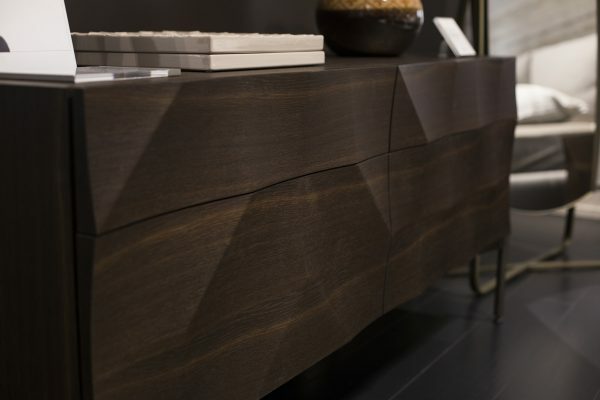 The Amber collection consists of quite a few pieces inclusive of a dining table, sideboard, bedside tables and a chest of drawers. 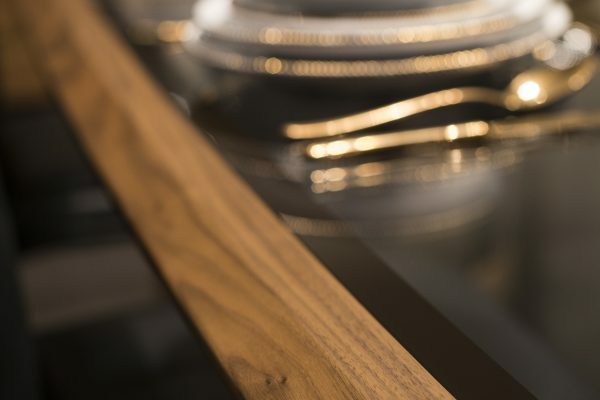 Jamie’s eyes light up as he describes each piece of furniture and its conception in vivid detail, evidently a real labour of love. He’s tactile in his explanations and it quickly becomes clear that a tremendous amount of time and thought went into the design process. So when anyone purchases one of these products, they’re acquiring a part of nature, a deeply contemplated design piece, a valuable heirloom that grows more beautiful with time, to be enjoyed by generations. 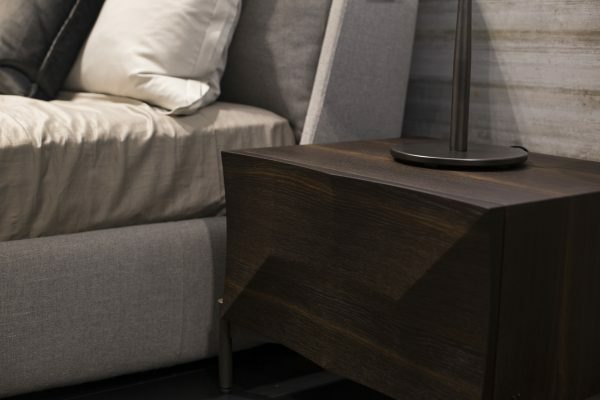 The table, along with other furnishings in Durie’s Amber collection for the brand, is being sold in Natuzzi Italia stores around the world, which is something he’s extremely proud of – and rightfully so. 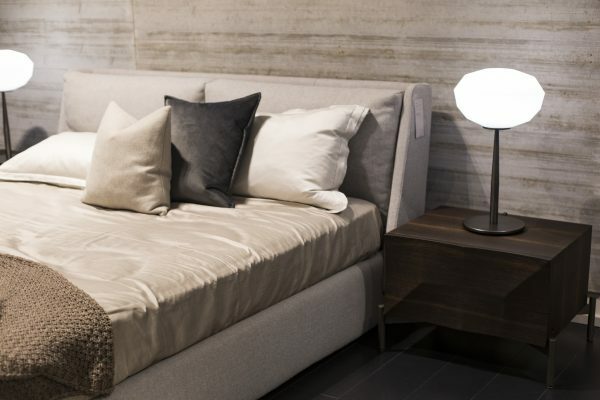 Jamie’s passionate dedication to his work has catapulted him to success in many areas, and now he counts being the first Australian designer to ever collaborate with Natuzzi, Italy’s leading furniture company, among them. Enter the [large] Easter Bunny. Big hugs. “It’s so nice to see you. I thought I was the shortest one in the room, but actually you’re shorter than me.” It turns out that Jamie has a well-honed self-deprecating sense of humour, which goes down like a dream with the crowd. His sharp wit is further demonstrated when right off the cuff, he opens one of his books, Edible Garden Design, and holds up the inside front cover shot of carrots in an artistic spread. “I also happen to be very good at designing with carrots,” quips Jamie with a cheeky grin to roars of laughter, while the Bunny runs off with a copy of the book. And what a promise. A promise that’s been honoured since 1959. To bring beauty and harmony to homes around the world. To respect nature and the environment, while staying ahead of the field in areas of research, design and innovation. To keep re-inventing, with collaborations from leading designers, artists, movers ‘n shakers around the world – and now with our Australian Jamie Durie. 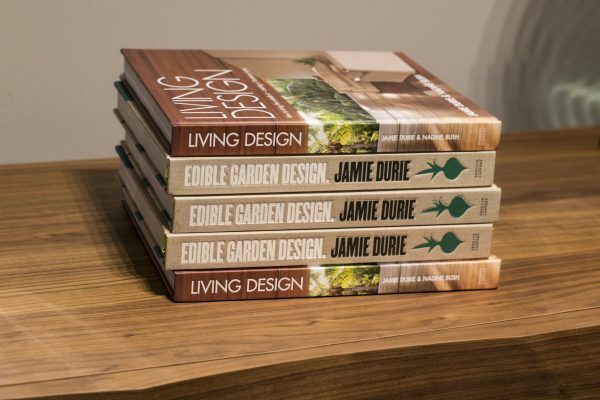 LIVING DESIGN is Jamie’s 12th book title and first interiors title, co-authored with Nadine Bush. 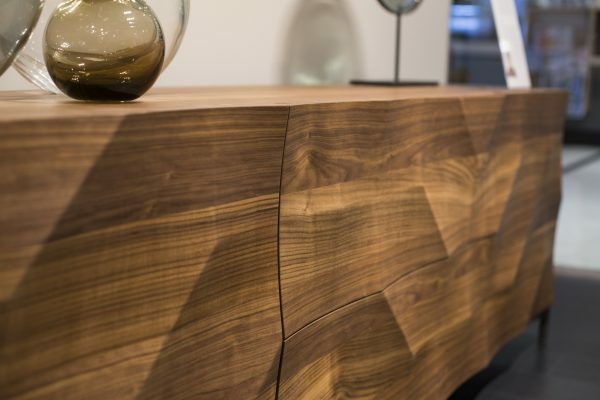 All about bringing the outdoors in and the indoors out, delving deeply into how furniture design plugs into nature. Jamie Durie’s collection for Natuzzi Italia is available exclusively at Natuzzi Italia, located on Ground, opposite Dish Espresso.